I don’t think I can add to the wonderful blogs and articles written about the premiere of Downton Abbey, so I give you a recap in pictures!! Revel in the scandals, secrets and dramas of Downton Abbey along with your fellow Masterpiece fans. 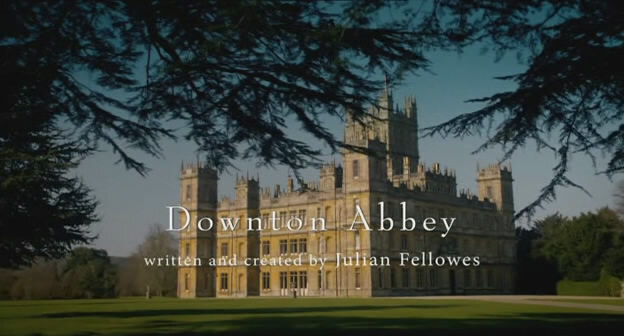 Celebrate Downton Abbey and the start of Masterpiece’s 40th season during a live Twitter event on Sunday, January 9, 2011, during the national broadcast premiere of Downton Abbey. You’re welcomed whenever you’re watching, but from 9-10:30pm Eastern time, PBS and Masterpiece insiders — as well as moderators from Austenprose and Edwardian Promenade — will be tweeting too. 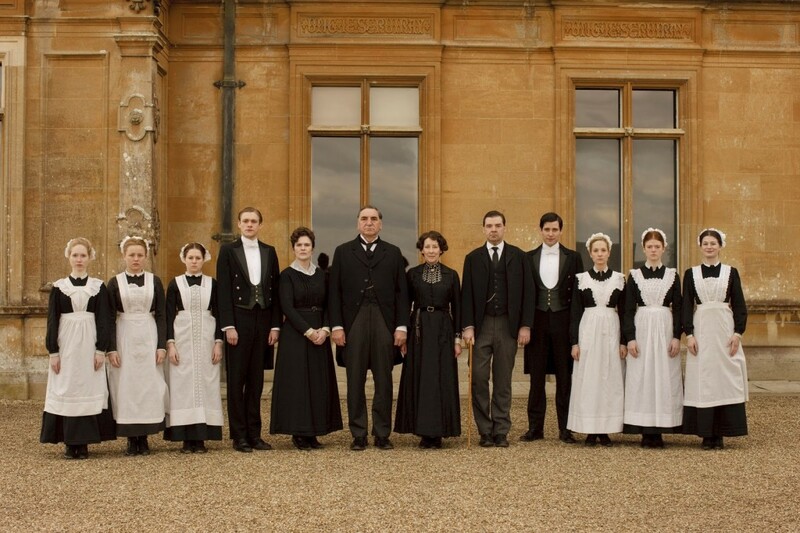 Tag your posts with the hashtag #DowntonPBS and then visit us on TweetGrid, or use your own favorite aggregator. WHERE: Join us using our custom TweetGrid (Use hashtag #DowntonPBS). WHO: @pbs; @masterpiecepbs; Evangeline Holland of Edwardian Promenade (@edwardian_era); Laurel Ann Nattress of Austenprose (@Austenprose); Cheryl LeBrun of Enchanted Serenity of Period films (@charleybrown77); Vic of Jane Austen’s World (@janeaustenworld) and YOU! Edwardians of means and/or status could not function without servants. The basics of everyday life–heating, lighting, cooking, cleaning, and washing–were all incredibly labor intensive, and the presence of housemaids, parlourmaids, cooks, scullery maids, footmen, butlers, etc were also a status symbol, for they represented a particular level of income. There was no shortage of prospective servants, with the 1901 census showing that a little over two million women out of the total British population of thirty-seven million were employed in domestic service, and the 1911 census showing an increase to 2.1 million servants out of a population of forty-one million. Compared with factory workers and farmers, whose wages were less than forty shillings (from which 2/3rds were spent on food), domestic servants, who were provided with board and lodging, did better on the whole (the usual allowance of food for each servant per week was 1/2 lb. of butter, 1/4 lb. of tea, 1 lb. of loaf sugar, 1 lb. of cheese, and a daily pint of beer. There was no restriction as to bread, but many ruled that all bread must be a day old before it was eaten. ).